I had a great weekend at the recent Historic Sandown meeting. The Victorian Historic Racing Register (VHRR) people can always be relied on to put on a marvellous event. This one attracted a long list of exceptional historic racing cars, with close to 350 entries across 13 historic categories. When you attend a well-run meeting at a circuit of the calibre of Sandown, itself a real asset to Melbourne, all you need for a perfect weekend is for the weather gods to be on your side. And they smiled on us. As always at historic meetings half the fun for me is talking with the fans who are true motor sport enthusiasts. These days some of the fans that I first met as youngsters are bringing their own kids along to meet me. As they say, time flies. Of course the real buzz came from my time on the track driving exceptional cars that gave me five wins over the weekend. To be fair though, my wins had a lot to do with the quality of the cars and the performance advantage they gave me. Every time my good mate Joe Calleja offers me the chance to drive his March Formula 1 car, I grab it with both hands. It’s a rare and lovely gem, one of only two made in 1974 by March, and a perfect showcase for the stage F1 development had reached in the mid-70s. 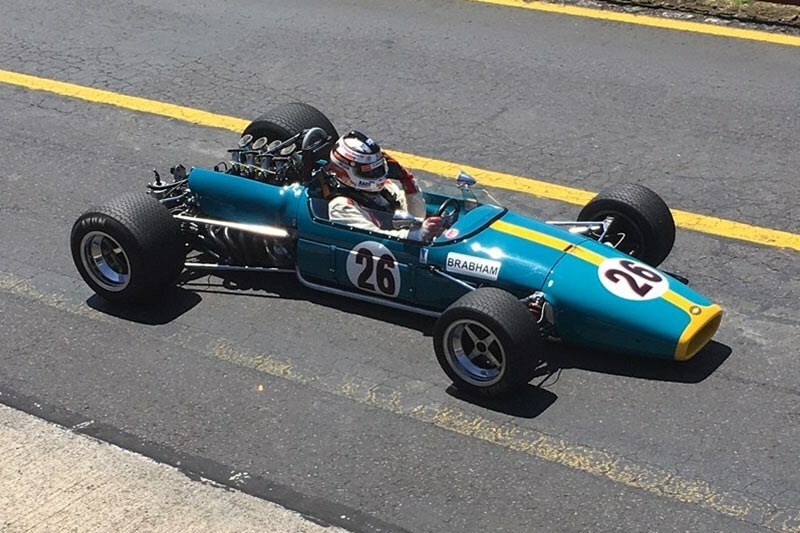 The meeting also gave me the chance to compete in a BT31 Repco Brabham for the first time, thanks to the generosity of its owner Peter Strauss. And there was more than the Brabham name to the car. The legendary Sir Jack actually raced this car here in 1969 at Sandown. It was quite a privilege to have the chance to take it out on the same track all these years later. The comparison between the two open-wheelers was interesting. The Brabham, built in 1968, marked the end of treaded tyre and no wings era. The March, from six years later, demonstrates the growing importance of ground-effects aerodynamics. The March’s Cosworth DFV DOHC, four-valve engine also comfortably outpowers the Brabham’s remarkable Repco V8, a torquey SOHC two-valve engine. All up the March’s chassis and engine advantages enabled it to lap five or six seconds quicker than the Brabham. It was a treat to drive two cars that were fine examples of F1 development in their respective eras. If you’re keen to learn more about the BT31 Repco Brabham, the next issue of Unique Cars will carry a full feature detailing my experience with the lovely classic racer. Also keep an eye open here for video coverage of the Brabham. By the time you read this the final Touring Car Masters (TCM) round at Newcastle will have been decided. But I write this, I’m in the last stages of preparing for it. So here’s your chance to check out whether the Bowe crystal ball is on the ball. I’m in contention to take out the 2017 championship. If I can pull that off it will be my sixth TCM championship. However the points are extremely tight and I rate myself an outside chance. At 802 points my margin over the hard charging Stevie Johnson in the Mustang is a mere five points. 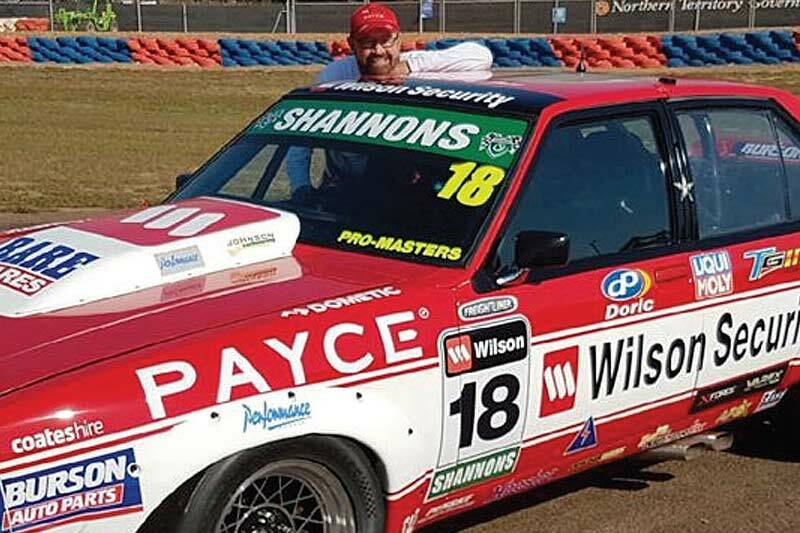 While we all have to learn this brand-new circuit, I suspect that as with all street circuits my Torana will need first gear out of the slower corners where the larger capacity cars will be able to use second. But we’ll see. My 40 years in this sport have given me a very strong competitive spirit, so I’ll be giving it my all. Whether it’s me or Steve who comes out on top, there will be hearty handshakes and congratulations to the victor.